Still dual extrusion in a tiny package; now with new compatibility and features. These beasts have evolved. Choose from classic air, or new-water-cooling, and experience the multi-extrusion possibilities of Chimera+ and Cyclops+. Read more on our blog! Choose the Chimera+ for two-filament, two-nozzle dual extrusion, great for multi-material supports. 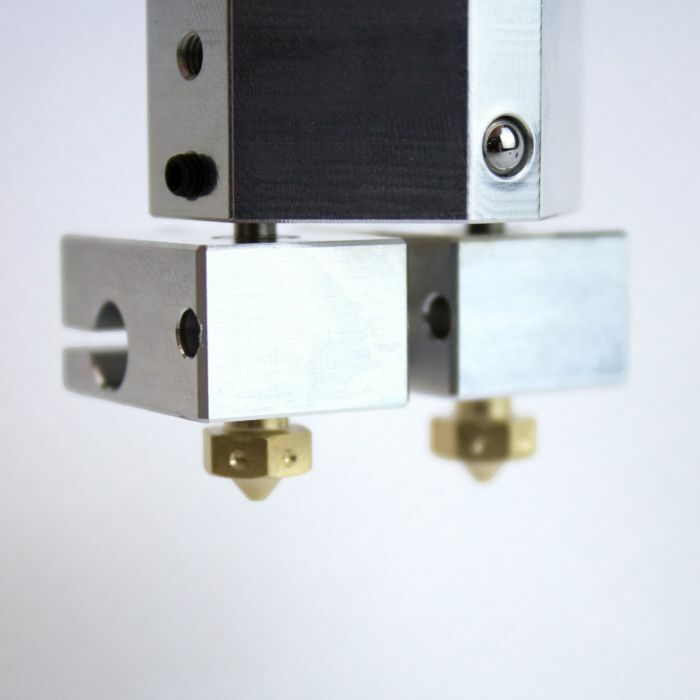 Or try the unique two-filament, one-nozzle Cyclops+. 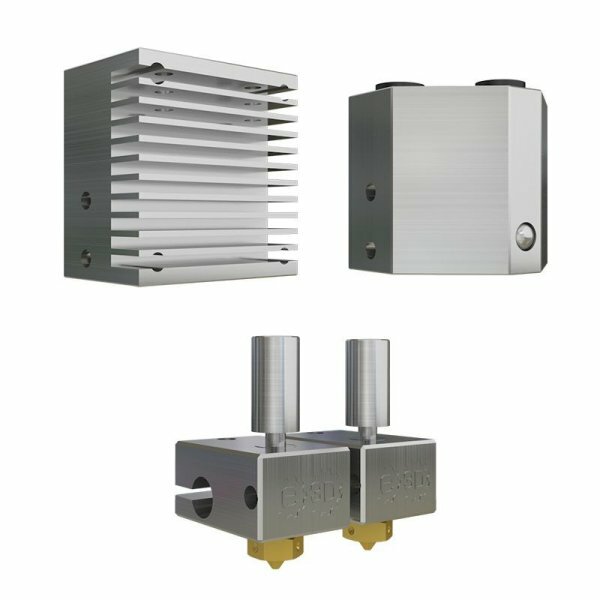 With a hot side designed to switch seamlessly between inputs, Cyclops+ never leaves an idle nozzle. Cyclops+ and Chimera+ fit our standard fans, thermistors and heater cartridges. Chimera+ works with our full range of E3D nozzles. The watercooled variants work with our standard water-cooling kit. The Cyclops heater block has been completely reworked, improving performance and making it more adaptable. We’ve removed all unnecessary material, lowering the thermal mass and reducing heat-up times. By changing the outer architecture of the block, we’ve also reduced the amount of heat radiating down from the block onto the print. 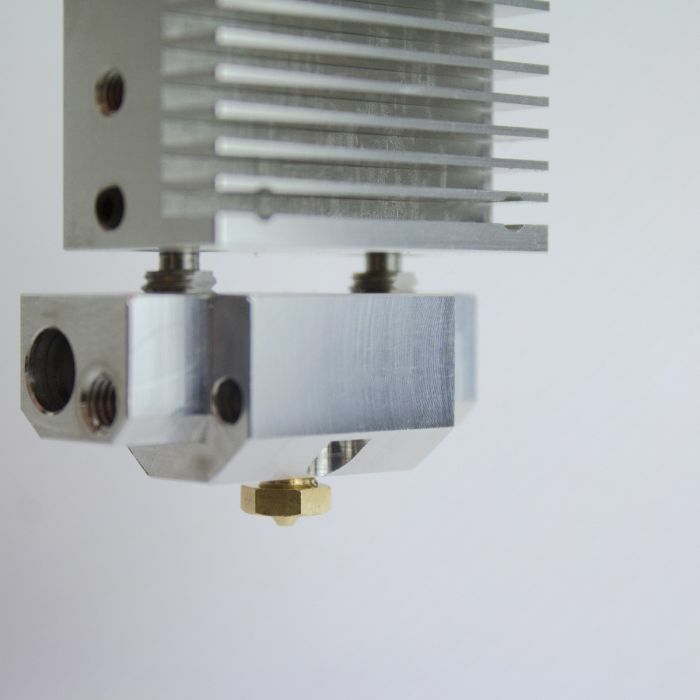 This makes it easier to print small, complex parts without the need for a silicone sock. 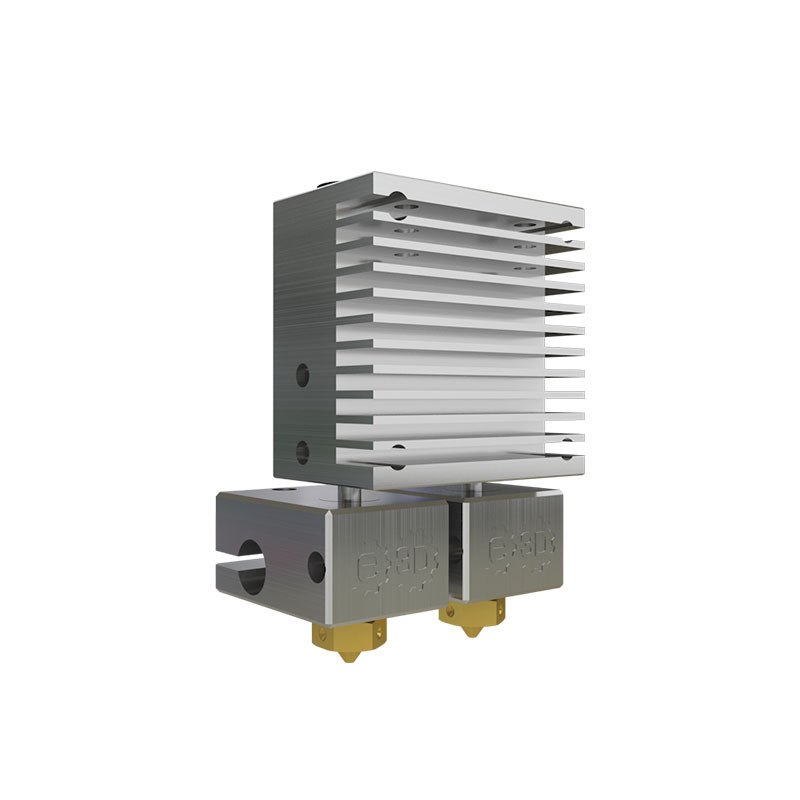 By switching to an Aqua water-cooled heatsink, both all-metal HotEnds can be used in the hottest of ambient environments. 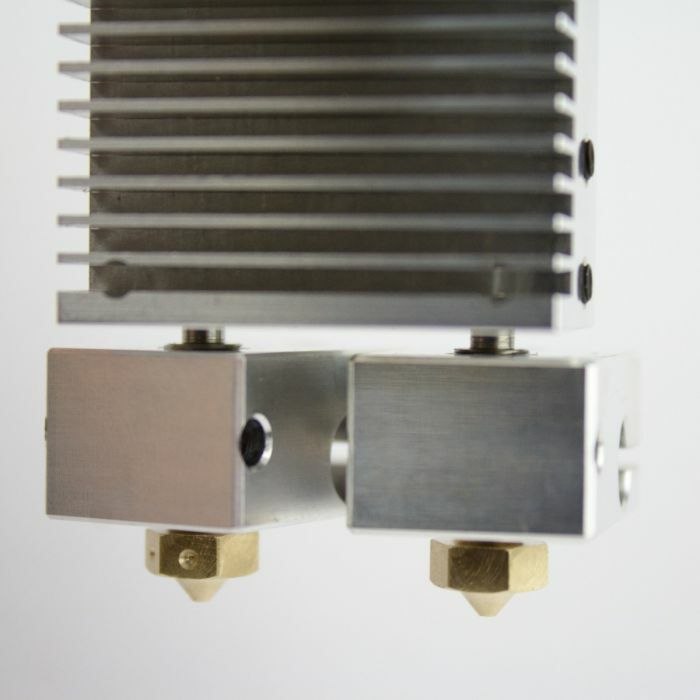 The Cyclops Aqua and Chimera Aqua share a highly effective water-cooled heatsink that is compatible with our water-cooling kit and nylon tubing. 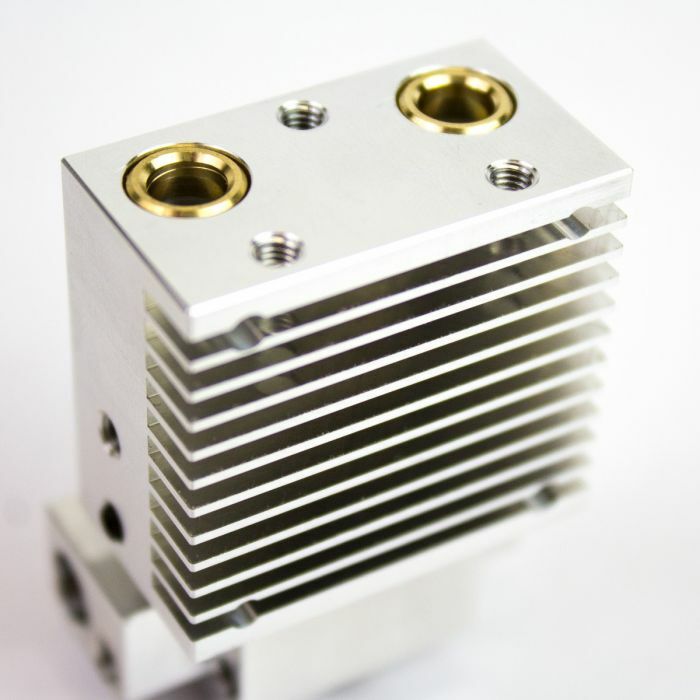 It's so small and lightweight that if you're looking for a water-cooled V6 equivalent then look no further! Weiterführende Links zu "Dual Extrusion+"